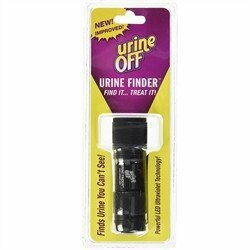 The Urine Off Urine Finder Mini LED Light is a wonderful tool for finding those pesky urine stains on your furniture or around your house, that you may not be able to see with the naked eye. We highly recommend this product and we hope this helps in caring for your home! The New and Improved Urine-Off Led Mini Finder is the ideal tool to locate hard to find urine deposits. The revolutionary ultraviolet light is ultra bright and engineered to easily fluoresce uric acid. Finder works best in a darkened room. 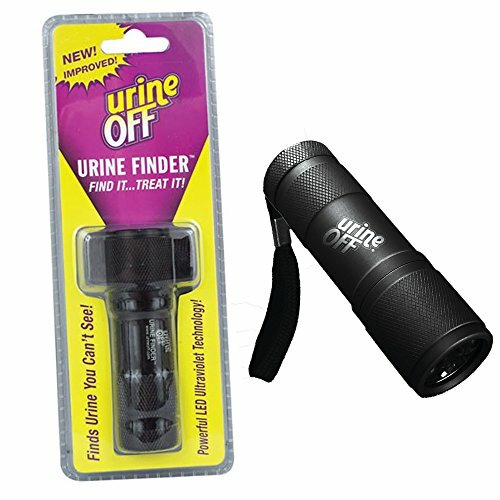 Engineered to produce the specific wavelength of UV light, so they simply work better than normal store-bought black lights and make the task of locating urine deposits easier. Uses 3-AAA batteries (not included).